We all admire and learn from David Pogue. Now, a broadcast television event that you must gather the entire family together to view – David Pogue’s latest muse will inspire you and your children. 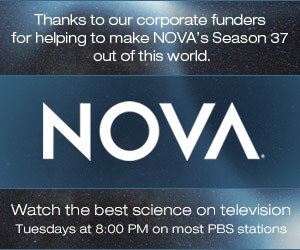 Nova “Making Stuff” Pogue Talk + Premiere Screening. NY Times columnist David Pogue will give a funny behind-the-scenes talk about making his new PBS miniseries “Making Stuff” (http://to.pbs.org/bE6Oer). Then, at 9PM, watch the premiere of the first episode on the big screen! Date: Wednesday, January 19 · 8:00pm – 10:00pm More info. Invisibility cloaks. Spider silk that is stronger than steel. Plastics made of sugar that dissolve in landfills. Self-healing military vehicles. Smart pills and micro-robots that zap diseases. Clothes that monitor your mood. What will the future bring, and what will it be made of? In NOVA’s four-hour series, “Making Stuff,” popular New York Times technology reporter David Pogue takes viewers on a fun-filled tour of the material world we live in, and the one that may lie ahead. Get a behind-the-scenes look at scientific innovations ushering in a new generation of materials that are stronger, smaller, cleaner, and smarter than anything we’ve ever seen.